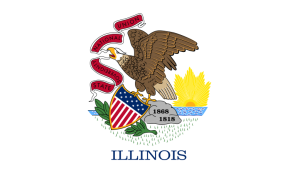 Illinois has a very low performing lawsuit system. Business litigators surveyed in 2015 ranked Illinois 48th in the nation at producing fair and reasonable justice. Illinois is home to two of the worst performing counties in the country. Cook County and Madison County have frequently been named Judicial Hellholes™ [LINK TO http://www.judicialhellholes.org/2014-2015/madison-county-illinois/]. NERA Economic Consulting completed a study quantifying the economic impact of passing a bevy of lawsuit reforms. According to the report, passage of a complete package of lawsuit reforms could increase employment in Illinois between 0.92 and 2.5%.